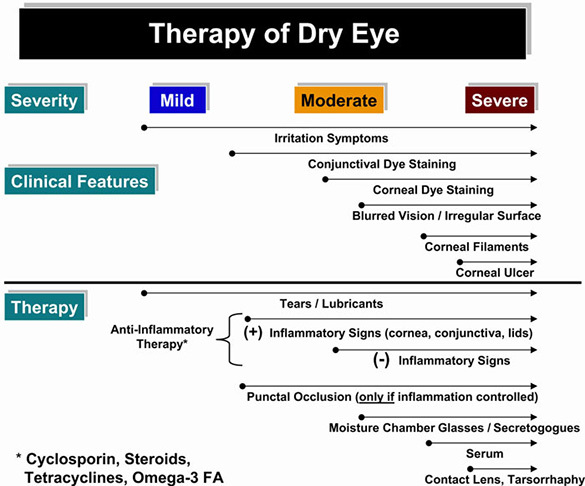 What are the conditions that cause Dry Eye? Dry Eye is a condition that occurs when the eyes do not produce enough tears or the right quality of tears. Our eyes depend mainly on a normal flow of tears to provide constant moisture and lubrication, to maintain vision and comfort. 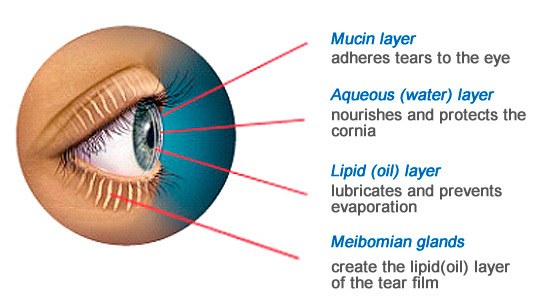 The tears, which are a combination various components, are secreted by special glands located around the eye. And when there is an imbalance in this tear flow system, a person may experience Dry Eye. In addition to an imbalance in the tear-flow system of the eye, excessive drying out (evaporation) of the tear film can also cause Dry Eye. This can happen due to environmental conditions such as air-conditioning, excessive heat, etc. It is increasing seen today in computer professionals with the increasing use of personal computers and mobile devices. In Dry eye, there is thus a lack of sufficient lubrication and moisture in the eye, which can lead to constant irritation of the eye and eventually to damage of the tissue of the eye. Just as the name indicates, the major symptoms are a dry, scratchy, and gritty feeling in the eye. Medications : Side Effects of certain drugs such as antihistamines, birth control pills, antidepressants and certain blood pressure medicines, eye drops containing preservatives (long term use). Diseases : Some diseases can affect the ability of the eye to produce tears, such as Thyroid disorders, Vitamin A deficiency, etc. Ocular (Eye) Conditions : Structural problems with the eyes that do not allow them to close properly or a problem with the tear ducts. Environmental Factors : Many environmental factors, such as hot, dry, or windy climates, high altitudes, humidity, air conditioning and cigarette smoke, etc. Computer Usage : As most computer users tend to blink less frequently during work, the tears evaporate more rapidly during long non-blinking phases, contributing to Dry eye. Contact Lens Wear : Contact Lens Wear induces Dry Eye and it is prolonged used can worsen the Dry eye Condition. Ocular Surgeries, Refractive Surgeries, Cataract Surgeries, and others. If untreated, it can. 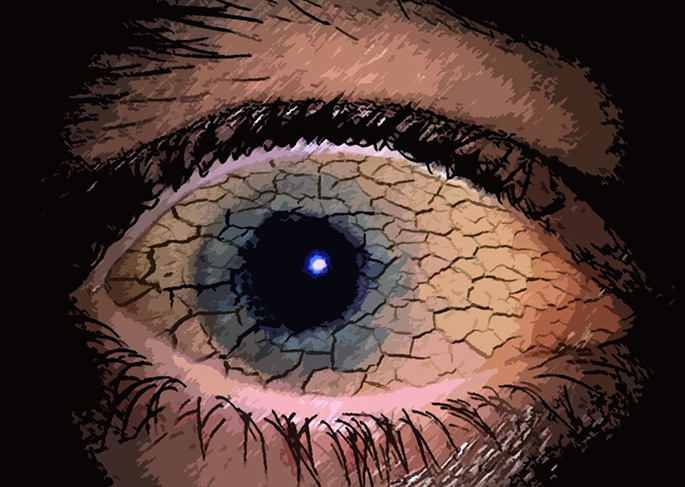 Excessive Dry Eye can damage tissue and possibly scar the cornea of your eye, impairing vision. 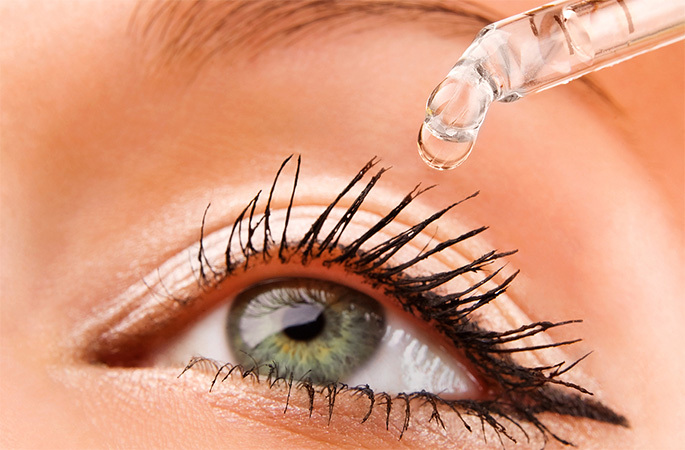 Dry eye can be relieved with the use of artificial tears. These are lubricating eye drops, which decrease the discomfort and prevent damage to the eye surface arising from dryness. Artificial tears available in the market are of two types, those that are preservative free and those that contain preservatives. Preservatives are added to prevent contamination of the eye drop on storage. However due to their inherent toxicity these preservatives can damage the eye on long-term usage. Today, with the advancement of technology, new products with disappearing preservatives are available. These preservatives have the unique ability to keep the contents in the vial free of contamination during storage, but gets converted into water and oxygen when put in the eye. These products with these unique disappearing preservatives are safer for long term use compared to conventional products containing preservatives. Those who need to use artificial tears more frequently can choose specially formulated gels with disappearing preservative system. Your doctor can recommend the best treatment choice for you. Drink enough Water : Make it a habit to drink plenty of water. Avoid alcoholic drinks and beverages that contain caffeine. 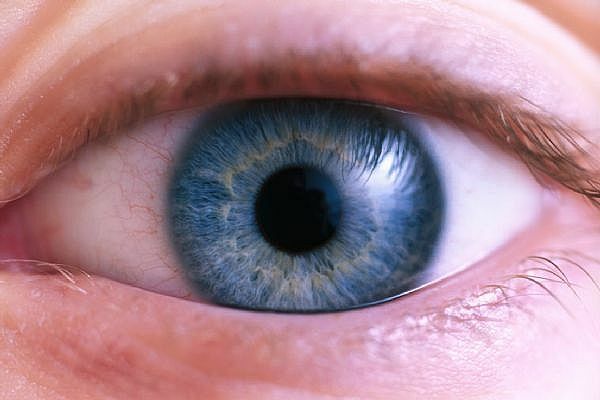 Blink Frequently : Keep blinking regularly, especially while reading or watching television. When using a computer, stop periodically to rest your eyes. Avoid Rubbing the Eyes : Instead, wash your eyes to clear out the dirt. 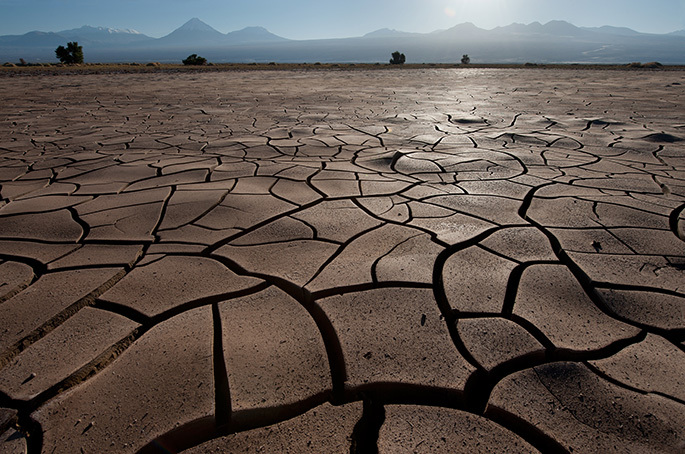 Outdoor and Indoor Protection: If you live in a dry, dusty climate, wear sunglasses when outdoors for protection. Padded sunglasses (with covering on the sides) are available to keep wind and dust from entering your eyes. The dust indoors can be filtered with an air cleaner, and a room humidifier can be used to moisten the air in the room. Avoid Contact Lenses, if Dry Eye is severe : Avoid using contact lenses in cases of severe Dry Eye unless they are medically required. In milder cases, you may reduce your contact lens wearing time and it may be necessary to discontinue lens wear temporarily. Take care of the underlying eyelid disease if any : This may involve antibiotic or steroid drops, and frequent eyelid scrubs with an antibacterial shampoo.